India’s growing middle class is today the target for many companies that produce consumer goods. In the 1970s - not so much. And as Imported goods were usually far too expensive, they tended to make everything themselves. And that included diecast, though only in small numbers. There were a few small players, and Maxwell appears to have been the largest fish in a small fish tank. 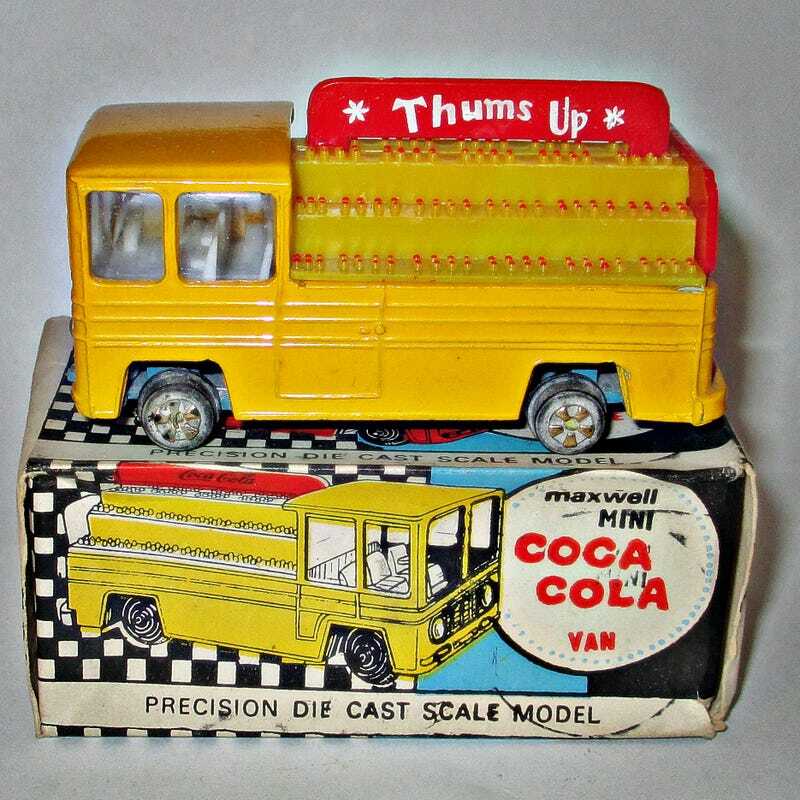 The products they made were often copies of Matchbox models - though they made a few originals as well. And here you will see some of them. Most of what I know about them comes from this very interesting article by Kimmo Sahakangas which first appeared in “Tales of Toy Cars” in 2002. Kimmo described the models as having an “awkward but charming simplicity.” It’s hard to disagree with that. Now that all looks normal enough. I’m not sure if this casting is a copy of someone else’s? It doesn’t matter, it looks ok for what it is. 1) They converted it into a truck simply by cutting off the roof with some pliers. They also made cars, not just trucks, but these are nearly impossible to find. And when they turn up, they fetch astonishing sums. I once bid on their model of an Hindustan Ambassador, neither mint nor boxed. It went for over US$ 100.00. I didn’t want it that badly. Other models were a Fiat 1100 Padmini, Volvo 1800S, and a Lincoln Continental. Oh and Thums Up! is actually India’s favorite Cola drink. So popular in fact, that Coca-Cola bought the brand in order to compete with Pepsi. True story. And that’s all I know about toys from India, maybe one day I’ll find that Hindustan for a decent price.